There can be no doubt about it: we will need to pursue many approaches to get to grips with the challenges of climate change. These approaches include regenerative energies, efficient fossil-fuelled power plants, improved heat insulation and, above all, reduced energy consumption. Technologies for capturing and storing carbon dioxide, also known as CCS (carbon capture and storage), provide another starting point. CO2 absorption and desorption are tried and tested technologies used in chemical processes as well as in the oil and gas industries. The discussion about climate change has started a global race in research and development. In the next two years we will already see the first trials of carbon capture and storage (CCS) concepts for new power plants. The appropriate infrastructure – mainly CO2 pipelines – will, however, also have to be built to allow the captured gas to be transported to storage sites like saline aquifers or depleted oil or gas sources. Storage sites are basically available in sufficient numbers around the globe. The technical periodical “International Journal of Greenhouse Gas Control” has published estimates of the potential scale on which carbon dioxide might be stored. For the EU, this potential is estimated at 25 billion metric tons by 2050, while the corresponding global estimate is 236 billion metric tons. Between now and the year 2050 this could mean a 33 % cut in emissions compared to current levels, providing such quantities can actually be captured. Against this backdrop BASF, RWE Power and Linde Group agreed to join forces in September 2007 to develop processes for capturing CO2 from the flue gas of coal-fired power plants. This cooperation entails the erection and operation of a pilot plant at RWE’s lignite-fired Niederaussem power station to test BASF’s carbon capture technologies and solvents. Linde is responsible for pilot plant engineering and construction. 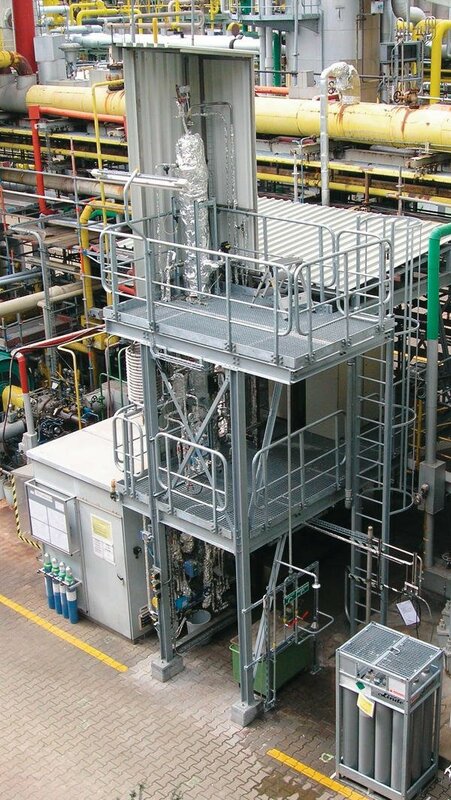 The pilot plant, which started up in August 2009, will conduct long-term tests on selected solvents in order to obtain process and plant engineering data that can help optimise the carbon capturing technology. Its aim is to have CO2 removal ready for commercial use in lignite-fired power plants by the year 2020. This technology should allow more than 90 % of the CO2 contained in power plant flue gas to be captured for subsequent sub-surface storage. Providing the pilot tests are completed successfully, the decision regarding the next step – a demonstration plant – will be taken in 2010. RWE Power has earmarked a budget of some 80 million euros for the entire development project, which includes the construction and operation of the pilot and demonstration facilities. Even at present, modern coal-fired power plants are being designed so that carbon capture units can be retrofitted at some later point. 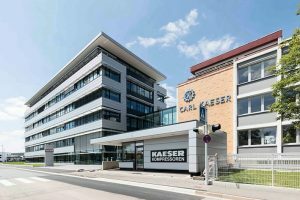 From early in 2004, RWE and BASF participated in the European Union-sponsored Castor research project, which thoroughly investigated the capture and storage of carbon dioxide from combustion flue gas streams for four years until it ended in early 2008. 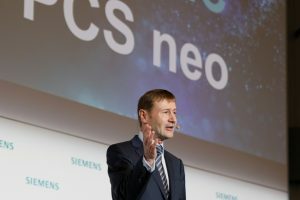 All in all, 30 partners from eleven countries took part in the Castor project, including major companies operating in Germany such as Vattenfall, Alstom and Siemens as well as numerous universities. In principle, the basic CO2 scrubbing process is itself quite simple. In an absorber, about 90 % of the CO2 contained in the flue gas can be bound to a scrubbing agent at a relatively low temperature and, hence, removed. By raising the temperature, the solvent “loaded” with CO2 is rid of it in a desorber and subsequently transported back to the absorber, where the scrubbing cycle starts again The captured CO2 has a high degree of purity and after being compressed is available for transport and underground storage. 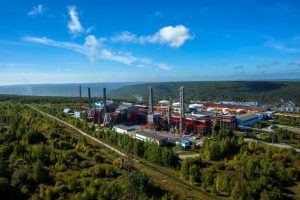 CO2 scrubbing has been used successfully in the chemical, petroleum and gas industries for a long time, though under process conditions that – in many instances – differ considerably from those that are relevant for use in power plants. BASF can draw on considerable experience in these fields when it comes to removing hydrogen sulphide and carbon dioxide from syngas and natural gas by means of the aMDEA (activated methyl diethanolamine) process. BASF has more than 240 reference plants in natural gas production and other applications. The existing plants treat gas streams at typical pressures ranging from 20 to 80 bar. Power plant processes, however, are non-pressurised. It is therefore essential to find a suitable solvent that will work at low partial pressures. BASF has assumed responsibility for the entire process. As part of the cooperation, Linde began by erecting a pilot plant at the existing Nie- deraussem power plant location. This plant has been using a new CO2 scrubbing agent since January 2010. With a net efficiency of over 43 %, this 1000 MW BoA 1 lignite-fired unit is the most modern and most efficient unit of its kind worldwide. It is equipped with optimised plant technology and is the forerunner to the two power plant units BoA 2 & 3 being built at the Neurath site. In Niederaussem, the carbon capture technology to be developed can thus be adapted to this type of power plant in an ideal manner. The pilot plant also comprises all individual components of large plants, but on a smaller scale. The diameter of the absorber column was limited to the size required to obtain representative results. Depending on the set test parameters, up to 300 kg CO2 per hour can be separated from a flue gas bypass (corresponding to a capture rate of 90 %). The BoA 1 site at Niederaussem is ideally suited for the project for another reason. A lignite predrying plant is being erected at this unit and demonstration operation will start next year. Hence, it is possible to test the pilot CO2 scrubbing plant at BoA 1 using dry lignite. The coal predrying technique developed by RWE is a key technology for the next generation of lignite-based power plants, allowing the net efficiency of a plant to be increased by a further 4 percentage points to more than 47 %. By pooling the world’s leading power plant technologies, the Niederaussem site is predestined for testing both a CO2 scrubbing process optimised for retrofits and a capture technology adapted to the demands of the next generation of dry lignite-fired power plants.